Wireless charging is missing from the standard Huawei P30, but if it's a feature that you're desperate for you'll be able to get it through a new case made by the company. The Huawei P30 Wireless Charging Case has been quietly rolled out alongside the new phones and gives you Qi functionality, which is the technology used by most wireless charging pads. It's a feature you already have if you buy the Huawei P30 Pro, but if you don't want to spend the extra money this may be a good way of getting the feature. 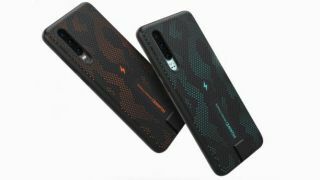 One thing to note is that this case features a lower power version of wireless charging than the Huawei P30 Pro does. It's only 10 watts while the P30 Pro is capable of 15 watts, so that's likely to mean it will be slower at charging than if you were to buy the bigger phone. It looks like the case comes in two different variants with orange and blue designs, which you can see above. Huawei hasn't shared much information on the new wireless charging case, so we're yet to know when it will be available, where you'll be able to buy it or how much it's set to cost. We'll be sure to update you when we find out more.